Certified Protection: NFPA Complaint in Nomex 6 and 7.5 oz. High Value: Hits numerous price points, depending on materials selected. Choice Fabrication: Available in Nomex IIIA, Indura Ultra Soft, FireWear, and Poly Cotton. Custom Options: Made to order in your exact size. Crisp Styling: Features epaulettes and sewn-in leg creases for crisp military styling. Easy Donning/Doffing: Two-way, full-length front zipper for easy donning and doffing. 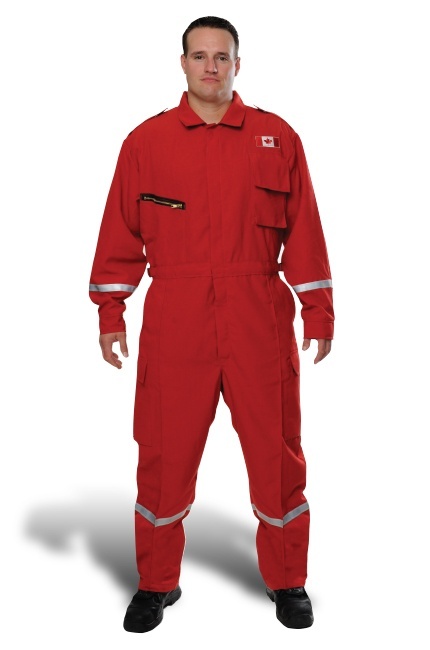 FR garments include zipper tape made from DuPont™ Nomex. Convenient Pockets: Sleeve notebook pocket. Pass-through pockets. Includes hook and loop closures on FR garments. Good Visibility: Reflective letters and numbers. Additional varieties of 3M Scotchlite Reflective Material (one-inch or two-inch).